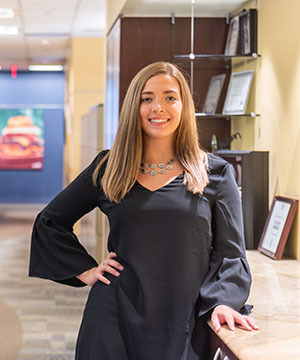 "During the interview process, Charlotte displayed a passion for the restaurant industry, as well as a strong desire to learn necessary skills to further pursue a career in business. Charlotte’s studies at Point Park University helped her to develop the ability to be agile in her way of thinking and adapt quickly by applying classroom theories in the field." "I connected with co-op specialist Jessica Hobson. I told her that my dream was to someday open my own restaurant. She worked so hard to find me the right co-op that would allow me to learn everything I could about running a restaurant." How did you land a co-op with Eat'n Park Hospitality Group? I connected with co-op specialist Jessica Hobson. I told her that my dream was to someday open my own restaurant. She worked so hard to find me the right co-op that would allow me to learn everything I could about running a restaurant. She then connected me with Khristina Estes, a recruiter with Eat’n Park Hospitality Group. I interviewed with Khristina and then landed an intern position with Eat'n Park's management residency program. What factors made you choose Point Park University and its business management major? My mother applied for years to be hired at a university so that my siblings and I could receive our education for free through her employment. When she got hired at Point Park University, I knew I had to take advantage of the opportunity to be debt free. I started out as a funeral service major with hopes to some day open a funeral home, but after experiencing some very personal loss during my freshman year, I wasn’t too sure I wanted to be surrounded by that all of the time in my future career. However, my interest in business and entrepreneurship did not go away, so I decided to change my major to business management. How have Point Park’s classes and faculty helped you excel in this co-op? Jessica Hobson has been extremely supportive over the last few semesters. She spent a lot of time helping me figure out the best path for my success. 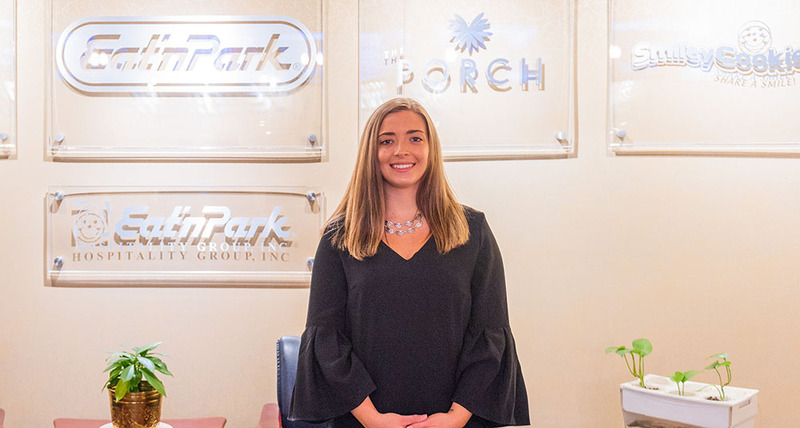 I have made so many new connections during my internship with Eat’n Park Hospitality Group and I wouldn’t have made those connections without Jessica. Point Park University is working very hard to strengthen our Rowland School of Business. Getting the chance to learn from professors with so many connections in the business world and the opportunity to be a part of the co-op program, in which we are paid and earn credits while gaining real-world experience, is truly remarkable. I am so thankful for the opportunities that have been presented to me. What are your plans for your upcoming senior year? During my senior year, I plan to keep focusing on school and land an internship for the spring semester that leads to a job offer before graduation. I have two career goals. To someday own and operate a business that I build from the ground up. Love the career I make for myself, so it doesn’t ever feel like work.